Instagram is a social media website and at the same time is used as a marketing tool. Since there are a lot of Instagram users these days, the use of it in the business has skyrocketed. 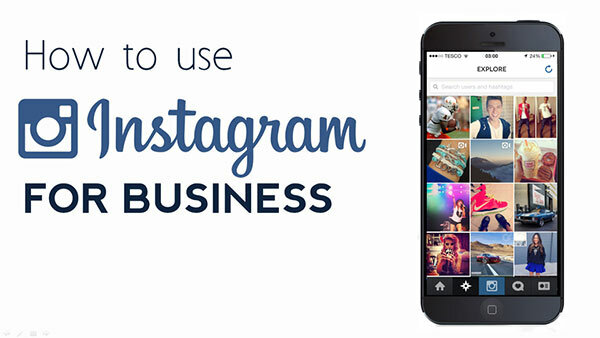 Different kinds of business are now using Instagram as part of their marketing strategy. And they have proven it as an effective platform for marketers to reach new audience through photos and short messages. If you have a business of any kind, then you must market it through Instagram. You have to make sure that you have an Instagram account for your business, so that you may market your products and services through it. Customer participation is a must when putting up a business. Once you have gained followers for your Instagram account, then that’s the time you can encourage customers to exchange and participate in exchanges involving your business. You may ask or request to share photos of them using the product or service your offer. Social media is about being social, after all. It’s a good thing if you encourage your customers to participate with your business, because there is a greater chance for you to get introduced to their own social circles and they might become your customers too. There is this intriguing feeling when you get an exclusive behind the scene look of a business’ product or service. People will most likely get fascinated with the things that drive them curiosity. Well, it’s a human nature to be curious at the things which are made “behind the curtain“. You can actually post a photo of how your product is made or how your service is carried out. In this case, you will be able to give them an insight on how your business is all about and you can gain potential customers with it. Posting your own and your employees photos at work will more likely get into the hearts of your customers. You may feature the things that you do at work and adding up an appropriate caption for it. Of course, you have to make sure that what you will post on your Instagram account will be exciting and photo-worthy. People will be more interested in knowing what you actually do in your business and it’s letting them have an insight of your own world which is really good for the business. Hashtags and mentions can give you higher traffic when used properly. They help people find your brand in case they don’t know your brand yet. All you have to do join in a conservation or simply start your own. Hashtag uses the “#” symbol followed by a word. You have to make sure that you use the correct hashtags, so that you won’t become a spammer. Do not use words or names which are not really related to your post. Just because a specific name is popular, you can add it to your hashtags. Remember, you are not a spammer and if you do that, people will just be turned off by you. And this is not a good deal for your business. Ever since Instagram has been launched to the web in November 2012, marketers were able to have greater opportunity to market their business not just through mobile devices. Not all people have an iOs or Android phones these days, but they can still access Instagram through the web. With this, there is a much wider audience for your business and this is a positive note. You may post photos of anything your business may be doing- your products, services or employees. You just need to promote your business and tell a story using images. Make it easy for your audience to see your story. It is important that you perceive a good image through the photos you post to your Instagram account. It will be better if you have a healthy balance between fun and business-related photos.